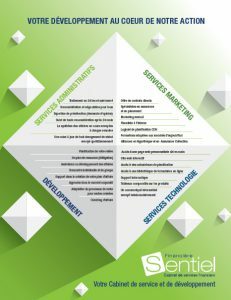 For each line of business, Financière S_entiel inc. has a lot of experience to offer. Whether simple or complex cases, we share our expertise as a team with you. Concept: demonstrate the characteristics of a product compared to a targeted goal. 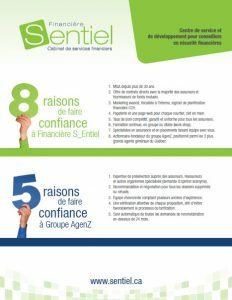 We are a founding shareholder of Groupe AgenZ, a specialized processing center dedicated exclusively for new business and in force transactions with all our insurers.